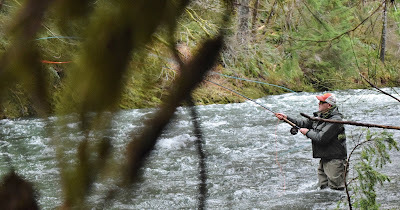 Here are some pics from several adventures I have gone on this winter steelhead season. Enjoy! This cute chrome hatchery hen made for some wonderful table-fare. This handsome wild buck gave quite the tussle, and was back off after a snapshot to continue his upward journey. Gorgeous scenery typically lines up with good winter steelhead water. 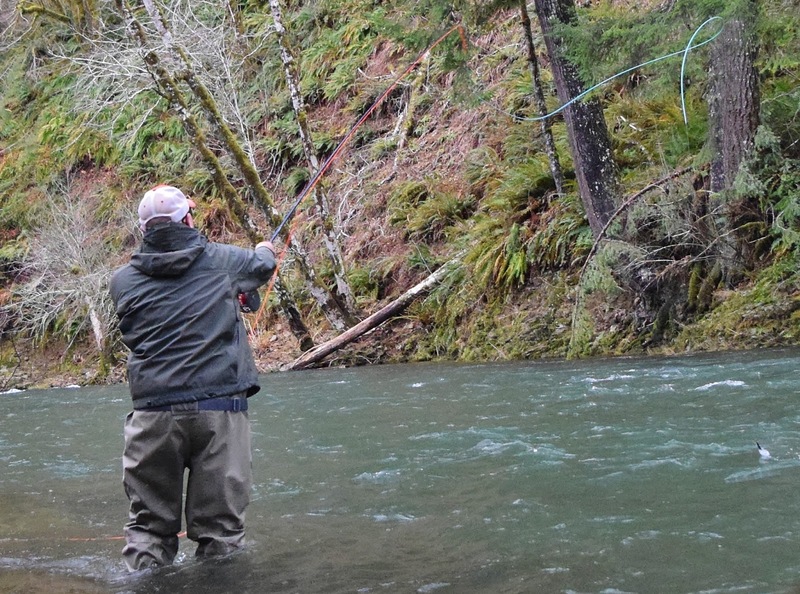 A gorgeous winter steelhead run spills in from the lush Pacific Northwest scene. You can see the anchor releasing (on time) as the photo has captured the fly coming out of the water. Fishing above a long heavy set of rapids. A hen that is past her prime, but gave a fun battle with some line peeling runs. I always love how steelhead can make your fly line resemble a clothes line at times. Rather choice winter steelhead weather to play in! This perfect specimen wild buck winter steelhead really put on a serious battle.